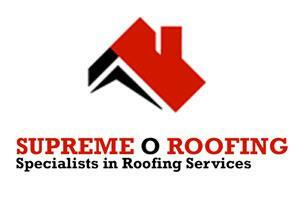 Supreme O Roofing - Roofer based in Rainham, Essex. Supreme O Roofing Ltd is a local run business that specialises in modern and traditional roofing systems. We have a proven track record and constantly strive to ensure every single client is a happy client. With over 30 years experience in the roofing industry, we have built up a great reputation as a High Quality, Reliable and Affordable ‘One Stop’ Roofing Solution. We cover a large area including London, Kent, Essex & Surrey which gives us a large catchment area. If you are interested in improving or maintaining your home/building, we would be happy to offer you a free written quotation. We guarantee high-quality systems with a comprehensive insurance backed guarantees. We offer outstanding value for money and all of our quotations are firm-fixed-price.